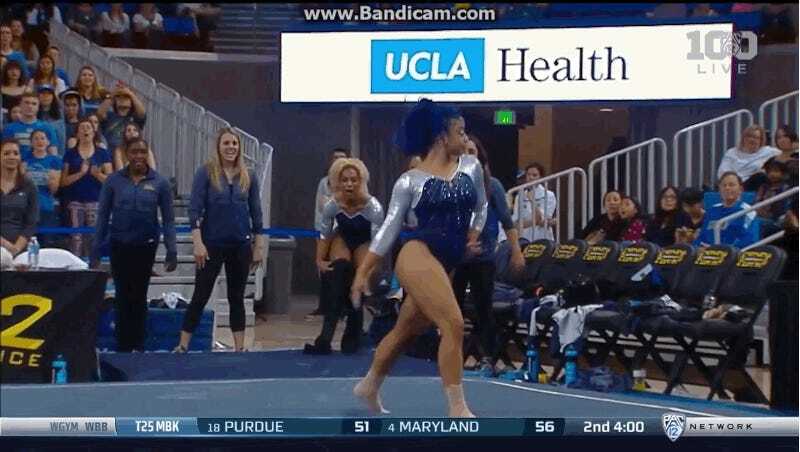 During a Saturday meet between the UCLA and Utah gymnastics teams, the Bruins squeaked out the win against the Utes, the two-time defending PAC-12 champions—in no small part thanks to senior Sophina DeJesus’s insane 9.925 (but a 10 in our hearts) floor routine, helping the Bruins clinch the final event. DeJesus took the floor to the tune of wild applause and the awkward white announcer getting her name wrong. 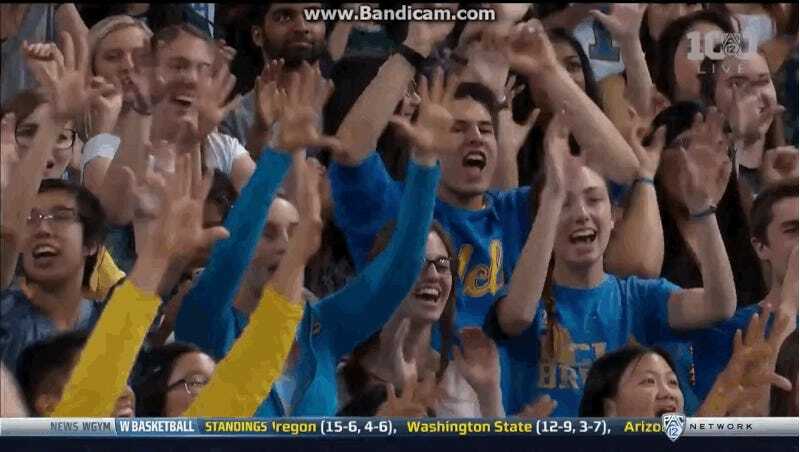 “Sonya Meraz is becoming a house favorite here, isn’t she,” he says—Meraz is another gymnast on the UCLA team—and then corrects himself, as DeJesus struts. 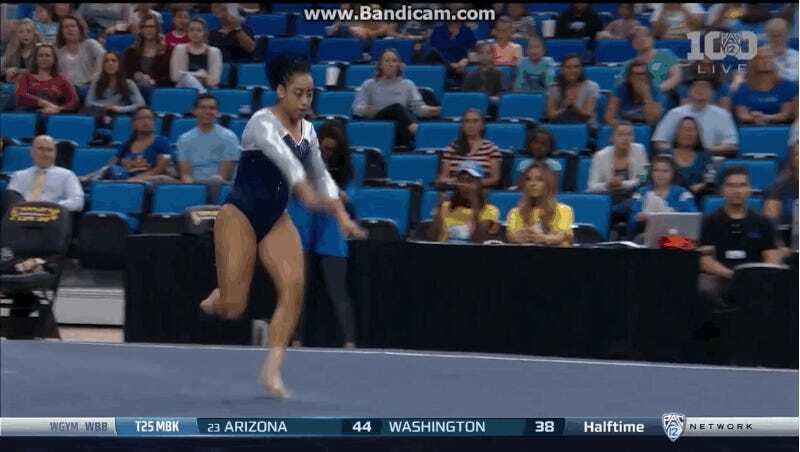 It is long past time that we see some semblance of swag in the incredibly silly bodily small talk that has long comprised the “kill time between tumbling passes” dance portion of gymnastics floor routines. Watch the whole routine below—and Sophina, we salute you. Post has been edited to note that the announcer initially called DeJesus by the name of one of her teammates.